Kantek Secure View Blackout Privacy Filters are designed to keep confidential work secure from prying eyes. Blacks out screen image when viewed from either side, while keeping a crystal clear image when viewing the screen straight-on. 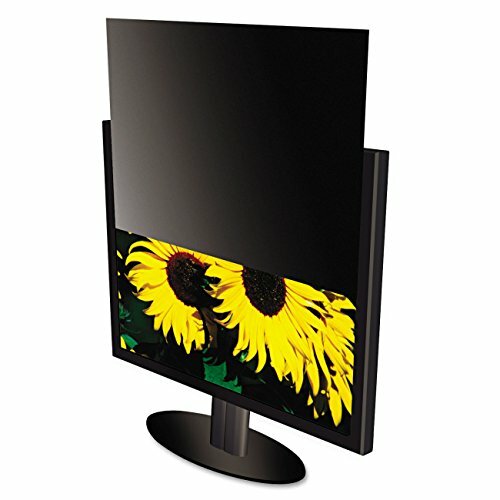 Fits Standard LCD Monitors with a diagonal screen measurement of 17.0" (viewable area only) and a 5:4 aspect ratio; Actual filter dimensions are 13 5/16" W x 10 5/8" H. Reduces glare and increases contrast. Cleans easily; microfiber cleaning cloth included. Lightweight, thin, frameless design; easy to attach and remove. Protects the display from scratches and dirt. Can help health care institutions meet HIPAA Patient Privacy Act compliance.